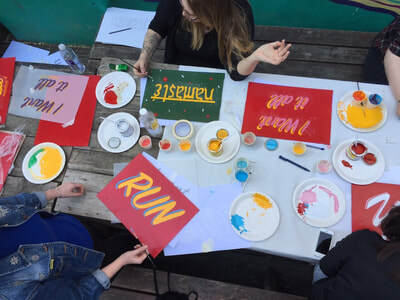 mass market fashion garments in East London’s Westfield shopping mall which she compared to the names painted on narrow boats nearby in Hackney Wick. 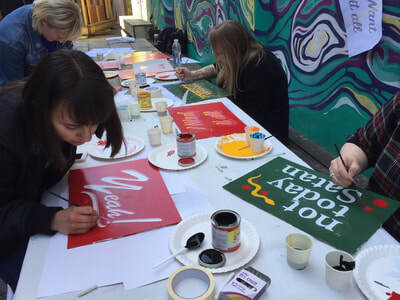 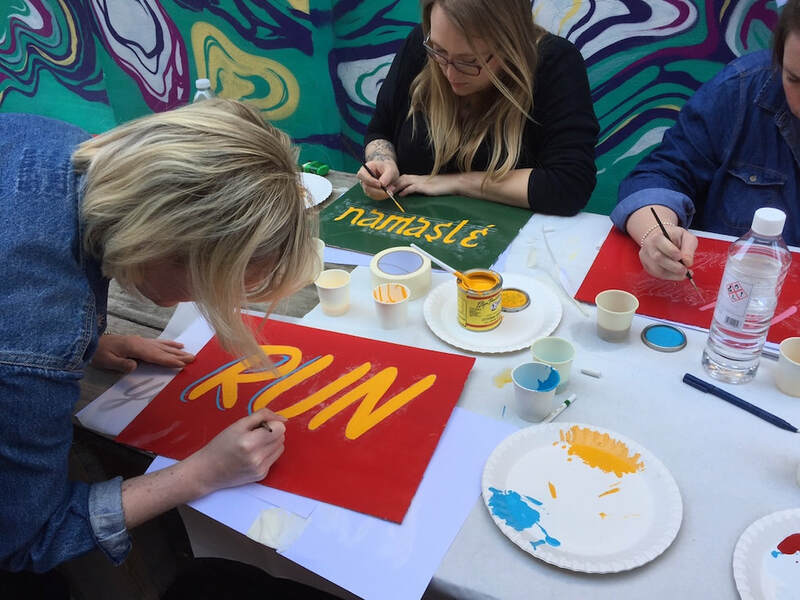 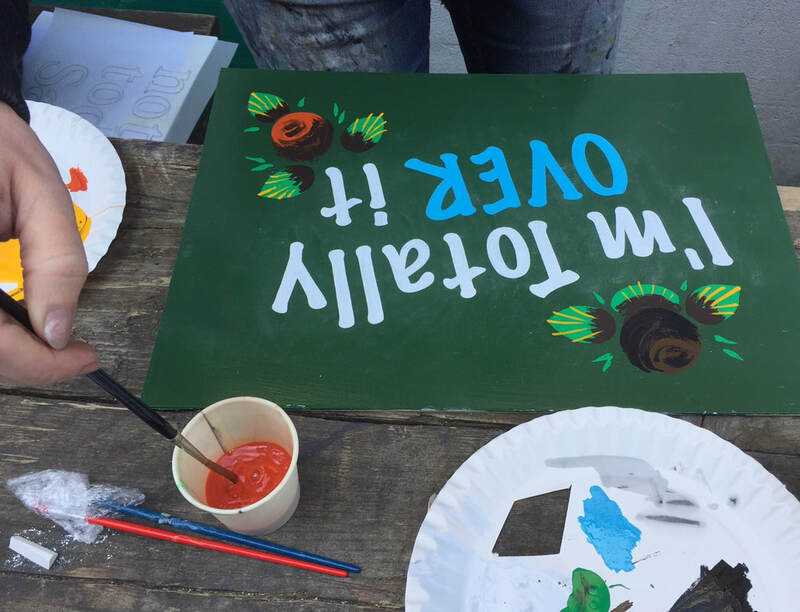 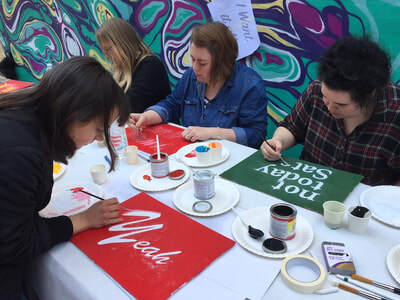 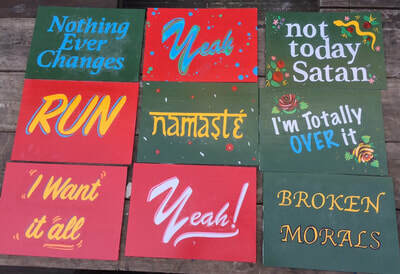 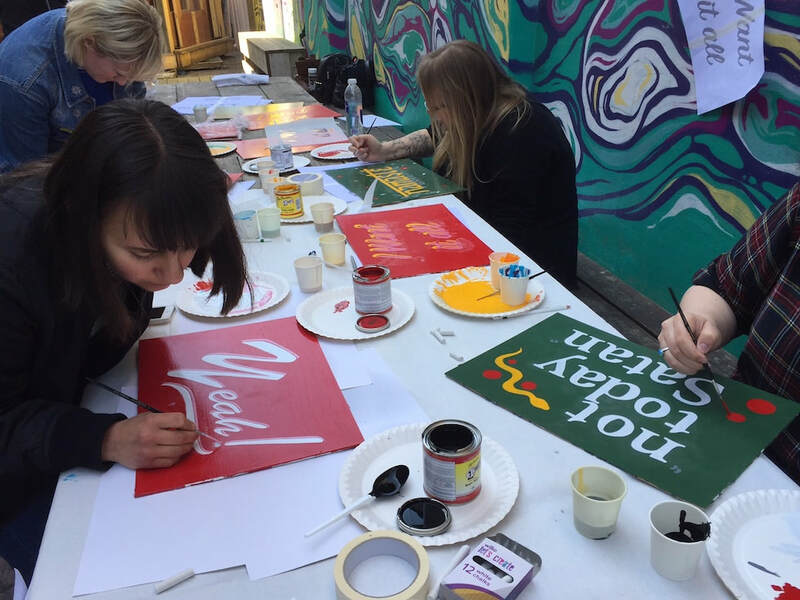 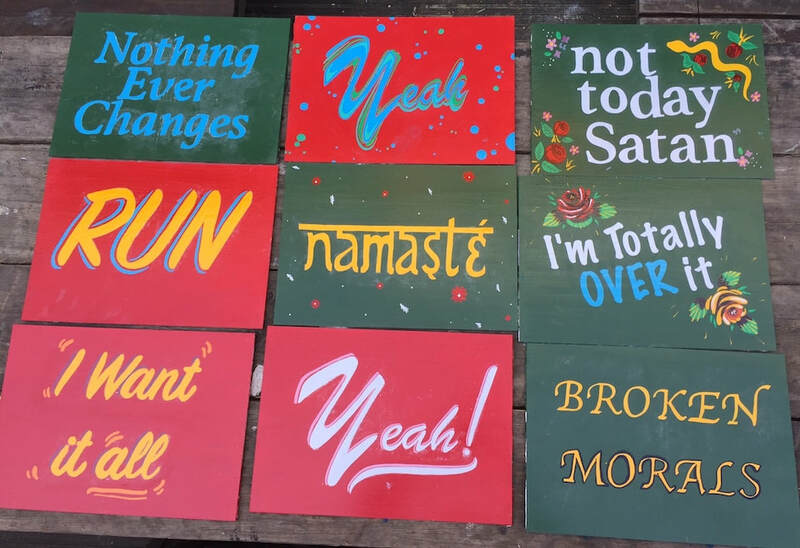 In this workshop participants painted fashion-inspired slogans onto boards using traditional enamel sign-painting techniques and special brushes. 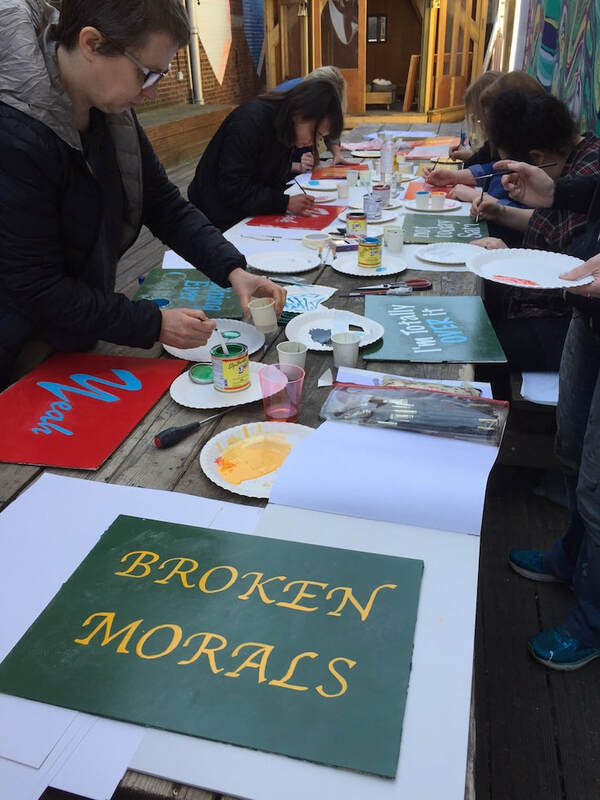 How do the desires and values of the boaters and shoppers differ, or are they more similar than they seem? 11am - 2.30pm Saturday 8th April 2017. Location: Arebyte, 49 White Post Lane, London E9 5EN.